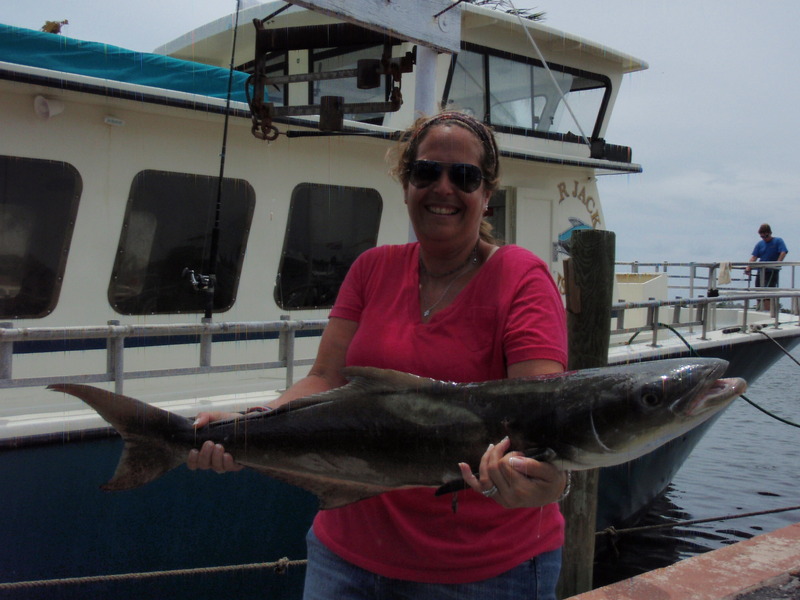 One of three nice Cobia that came up by anglers fishing for snapper aboard the Lady K during a warm morning trip. Other anglers had their hands full when the False Albacore (a.k.a. Bonito) would run through the lines. Bonito are excellent fighting fish giving even seasoned anglers a run for their money. Although not very popular as table fare such as the cobia, bonito do make excellent bait when filleted out and used as strips or chunks for trolling or bottom fishing. The smiles say it all! Fishing makes a perfect summer-time activity for families. It is relativity inexpensive, offers excellent quality time and very easy to learn for beginners. Children often benefit a sense of accomplish after catching even the smallest fish while bottom fishing where many anglers catch a wide variety of colorful reef fish, porgies and snapper. 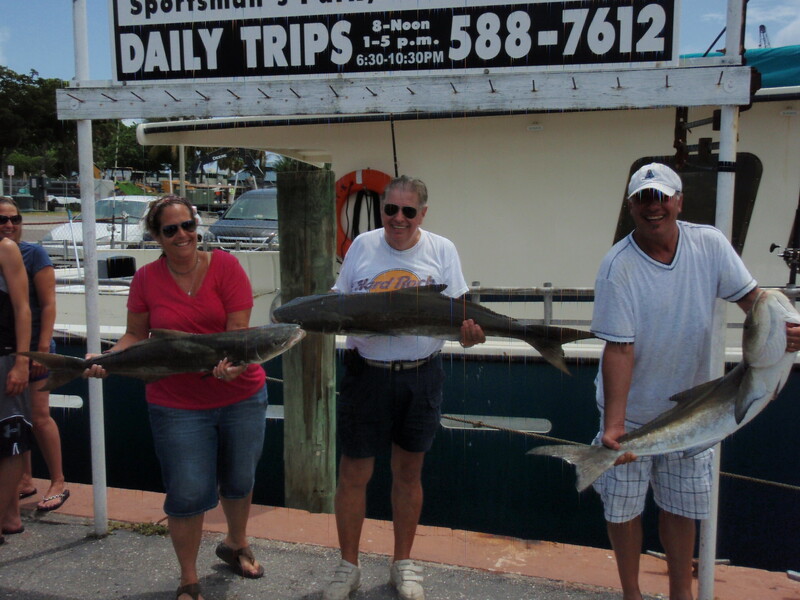 Our experienced captains and crew will help teach you how to use the tackle, bait your hooks if you desire and offer many helpful tips through the trip. Back at the cleaning station your captain will prepare your catch for the table and offer cooking tips to help in its preparation. Stay posted to both our website and facebook page for more great summer-time deals coming in the future weeks. We hope everyone has a very happy and safe summer!